In order to promote the European integration of the Western Balkans, SALTO SEE promotes the development of youth work and youth policy through specific regional and European discussion forums and follow up processes. 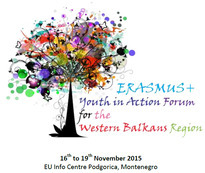 The 3rd Europe-Western Balkans Youth Meeting is planned for autumn 2019. Four years have passed since the beginning of the Berlin process in 2014. What has been its impact in the field of youth? Where do we see a need for further action? How can we contribute to moving further ahead?